…However, there was one fairly large issue with his base – his walls were very low compared to everything else. Seeing as Bowler attacks are pretty much the most popular way to 3 star late game TH11s at the moment, one thing you do not want to have is weak walls. The reason for this is that the splash damage that the bowlers do when they bounce their rocks helps take down walls extremely quickly so if the walls are weak, it allows for an attack such as this to quite easily gain 3 stars, despite the maxed out buildings. 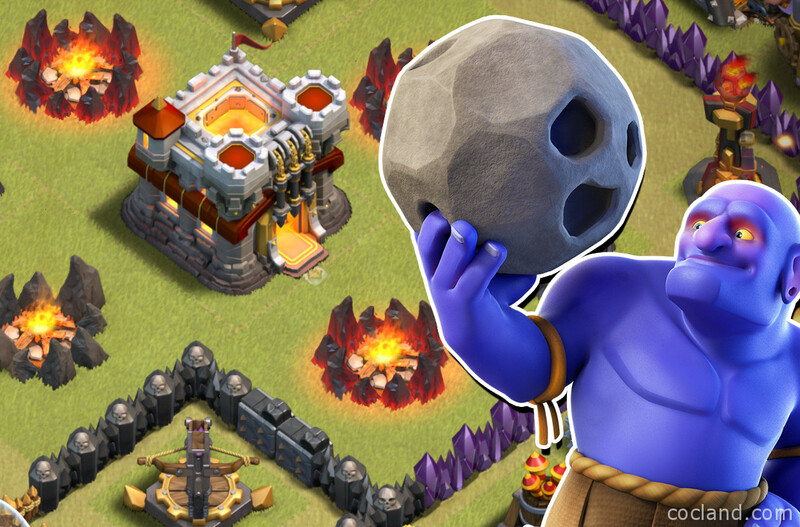 It’s great having maxed defenses and heroes but if you can’t match them with your walls – you WILL get 3 starred. The second thing which really stands out about this video is that the base layout is particularly weak. Now a year ago, this wouldn’t have been a bad base at all, but with Bowlers, Miners and Valkyries, close together walls and buildings make very easy targets. The kind of compartmental base is extremely weak against a lot of attacks currently. 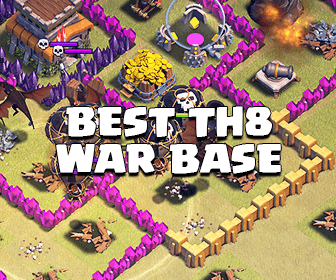 Instead of grouping together all his buildings, he should create a large space around his central defenses and Town Hall, much like you would to at TH8 and TH9 to stop hog and loon attacks, thus keeping defensive troops going round the base rather than into the center of the base. That said, there is still a very good TH11 3 star attack here. It was set up nicely for the attacked given the weak walls but the strategy is very simple. Stage 1: Split your bowlers into three groups: Left clearers, Right clearers and main push attack. Now it’s important to get these 3 groups attacking at roughly the same time. So you need to be quite quick at releasing the attack. Stage 2: On the Eagle Artillery side of the base, place the 4 bowlers on the flanks/corners of the side you are attacking. Behind each group put 3 to 4 healers. They will then take out the buildings on the sides leaving a very clear path for your troops to move in to the centre. Stage 3: Place the rest of your bowlers and heroes in the centre of the side you are attacking and send them, using wall breakers initially and then jumps straight into the middle of the base to get down the Eagle Artillery and Inferno Towers as quickly as impossible. In the video above the Inferno Towers are on single target which makes it much easier but if they are on multi target, make sure to use you freezes extremely carefully ensuring you take as little damage to your bowlers as possible. I like to rage right in the centre as that is where the crucial defences are and there are normally additional teslas around that need to be dispatched quickly as well. The above guide for using bowlers is fairly standard for a decent TH11 player to use against your base. Having low level walls makes it very easy for the attack to succeed and get 3 stars because there is so much splash damage with mass bowlers that walls go down so easily that they even go down accidentally as a result of the second bounce of the rocks. If walls are fully upgraded or one level behind it will take much longer and be much harder for the bowlers to cause that kind of damage which in turn means that the heroes and other troops will have to wait longer behind walls until they can move further throughout the base and the defenses will have a much better chance of shooting them down. The lesson is very simple – upgrade your walls in line with the level of your defenses and then you firstly won’t have to do it all at the end once you’ve finished with your defenses and secondly will give yourself a much better chance of defending against enemies such as the attacked in the above video. 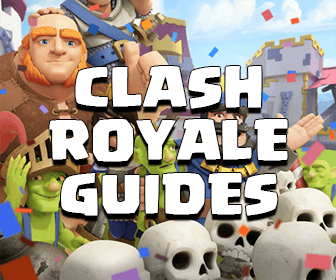 I hope you enjoyed this tutorial – please do remember to subscribe to Chucky’s channel for more strategy and tips in Clash of Clans & Clash Royale.